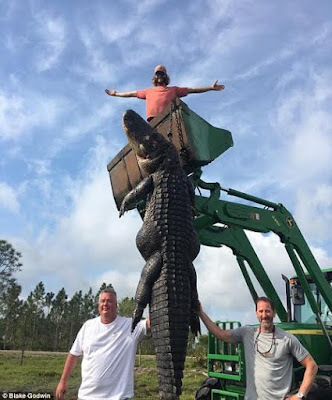 Lee Lightsley, a professional hunter in Florida shot dead a massive alligator measuring 15ft and weighing 360kg, he shot it dead after he found it in a pond surrounded by carcasses of his cattle. 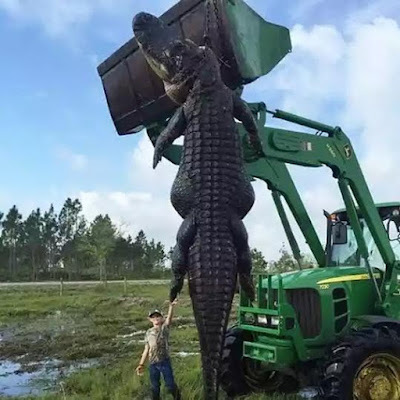 “Although this animal is huge I was not that surprised it existed. “We have come across lots over the last 20 years that have been only a little smaller. But what really drew our attention to this animal was the fact that it seems to have been feasting on the cattle on my farm, because mutilated body parts were found in the water. 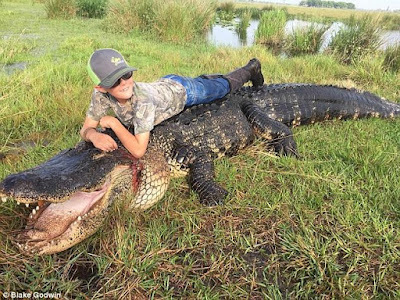 It was a monster which needed to be removed.”He has been hunting alligators for commercial purposes since 1988 and says this is the biggest animal he’s ever killed in 18 years. 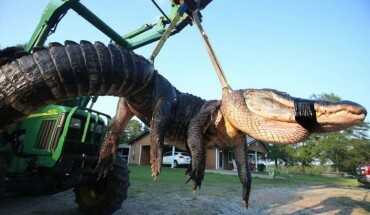 He charges $10,000 (£7,070) to hunt and kill an alligator more than 13ft long at his site in Florida. Previous Post:What These 3 Parts In The Little Finger Mean. If You Have Them … You Will Be Surprised!